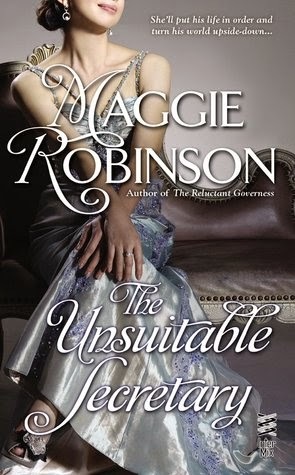 The Unsuitable Secretary by Maggie Robinson. This is book 4 in the Ladies Unlaced series. Harriet Benson loves working at the Evensong Agency, but after a recent illness she needs to shorten her hours. Her employer finds her a job, requires less hours, working for Sir Thomas Featherstone. It seems the perfect solution until she finds herself attracted to her employer. Sir Thomas Featherstone was attracted to his new employee the moment he laid eyes on her. He does his best to hide his attraction, going so far as to avoid eye contact. Unable to fight his attraction to Harriet any longer, he asks her to become his mistress. Thinking never to marry, Harriet accepts knowing this is the only time she will find out what happens between a man and a woman. In her very efficient way, she makes out a contract for their week long interlude. What happens when their week is up and Thomas isn't ready to give Harriet up? I loved Thomas!! I loved that he was so confident with everyone, but when it came to Harriet he became all tongue tied. It's nice to have a hero that is not so arrogant toward the heroine. It was also a nice change to nice a heroine that didn't have the typical characteristics of most historical romance novels. As a reader, I was able to relate to her more than I have other characters I have read about. I like that the characters had to overcome several obstacles to get together: employee/employer, difference in station in life and that Thomas was known as a rake. I've really enjoyed Robinson's Ladies Unlaced series and hope that she continues it. 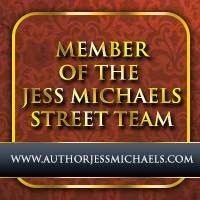 Thanks go out to Penguin Group via NetGalley for providing book in exchange of an honest review.